We moved our fundraising site from Fundrazr.com to YouCaring.com due to additional charges by Fundrazr. As much as possible, we want to minimize on that so we could maximize the donations we can give to the victims. 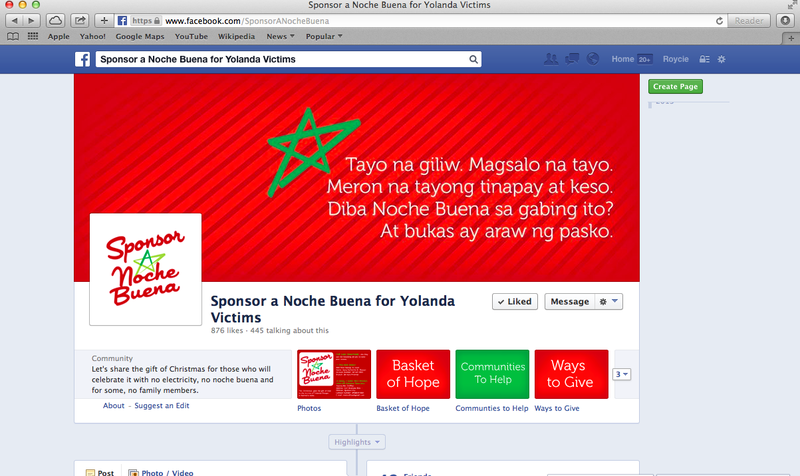 We also revamped our Facebook page so please like and share: www.facebook.com/SponsorANocheBuena. 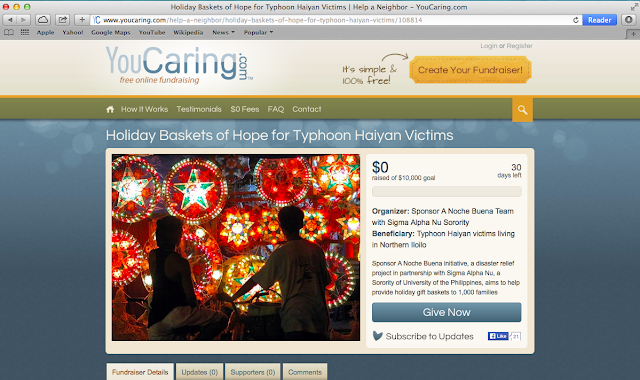 On this page, you can see how you can help. We are open to partnering with companies that are interested to sponsor or offer discounted items for the Noche Buena and holiday baskets. You may also send us clothes and toys as donations. 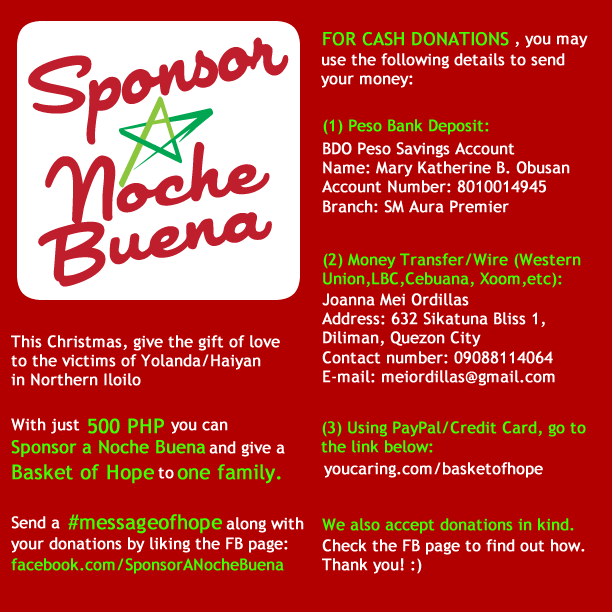 For Philippines-based individuals, you can sponsor a Noche Buena and a Basket of Hope for one family affected by typhoon Haiyan (Yolanda) with only Php 500. Please see the photo below for more info. I hope you can support this endeavor. Thank you in advance. Let's keep praying and helping our brothers and sisters who have been affected by the super typhoon. May God continue to bless us all. It's Been a Fun Halloween!